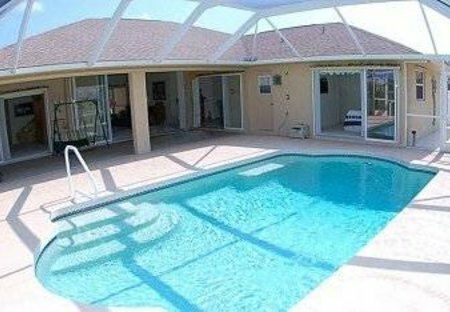 Rent villas in White Marsh, Florida with private pools. Book affordable holiday rentals that are near a beach. Really lovely, homely villa for families or couples alike. Secluded, south-facing and backing onto waterway. Large pool, sun trap decks. Comes with FREE beautiful sunrises and stunning sunsets!